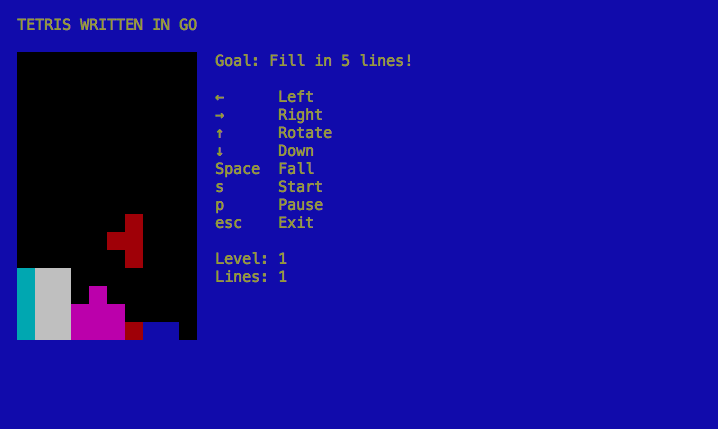 I implemented a console-based version of Tetris in Go. In general, it was a pleasant experience. I made use of the termbox-go library for console graphics, and it was enjoyable as well. I've been reading a lot of blog posts recently about Go, and I think this blog post is the one that captures my opinions best. It's also a treasure trove of useful links to various other blog posts and tidbits.